I mention garlicky rice a lot. It’s because I eat a lot of garlicky rice. 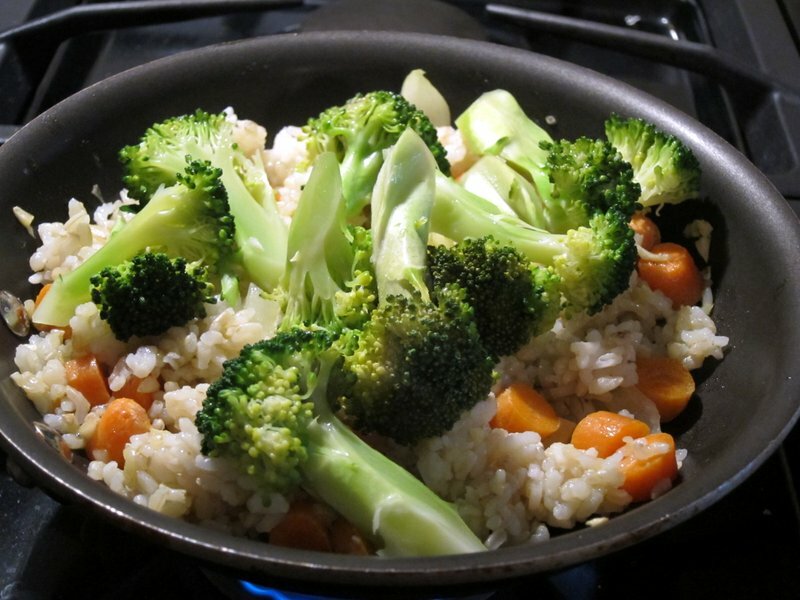 In my pre-veganese days, I never went hungry as long as I had rice, eggs, and garlic. Breakfast, lunch or dinner: fry up some leftover rice, fry an egg or scramble it in the rice, and then serve with tomatoes if available. I still eat a lot of fried rice, but I leave out the egg. It’s so quick and easy and versatile. Today was a “Use What You’ve Got and Clean Out Your Fridge Day.” I was about to step out and go to the grocery store when I realized that there was a mess of things in the fridge that I could make into something. I’ll post about my interesting lunch another day. Let’s talk about the fried rice I made for dinner. 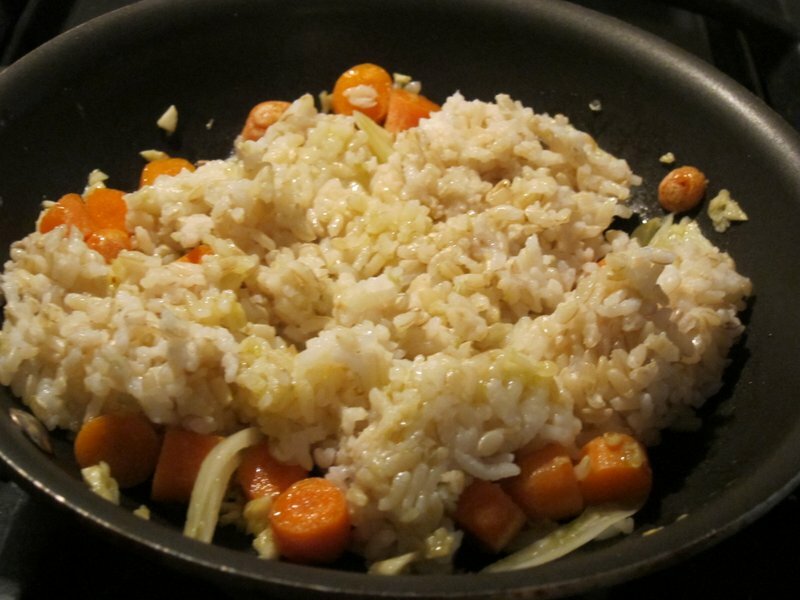 Today, I added minced ginger, a small sliced onion, and leftover broccoli and carrots to leftover rice (brown/white mix). 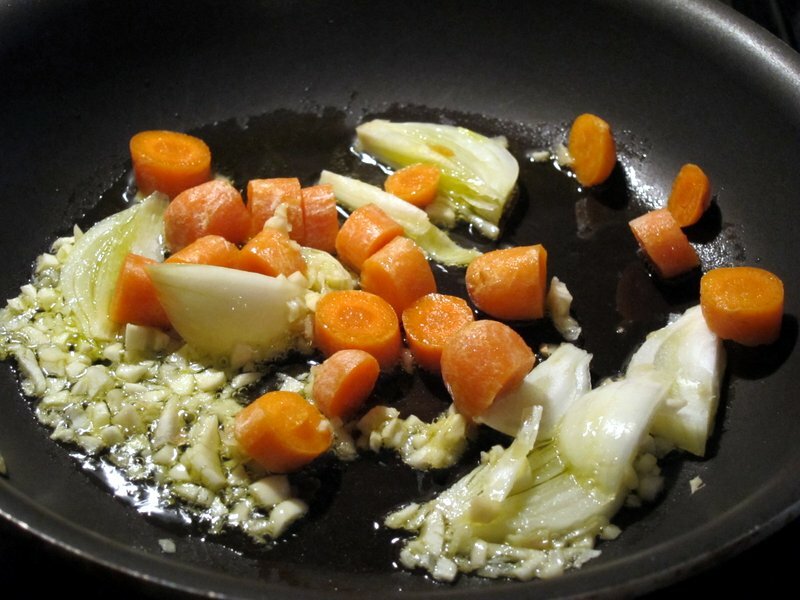 First, I heated up some olive oil and then threw in the garlic, ginger, carrots and about 3/4 of the onion. Then, I added the rice. I then added the broccoli and sprinkled in some salt. When you make fried rice using this method, fry it up at least until it’s heated through, but fry for long as you want beyond that; longer can yield some crunchy rice which a lot of people enjoy. Once it was fried to my satisfaction, I turned off the heat and added the rest of the onion and some ground black pepper. 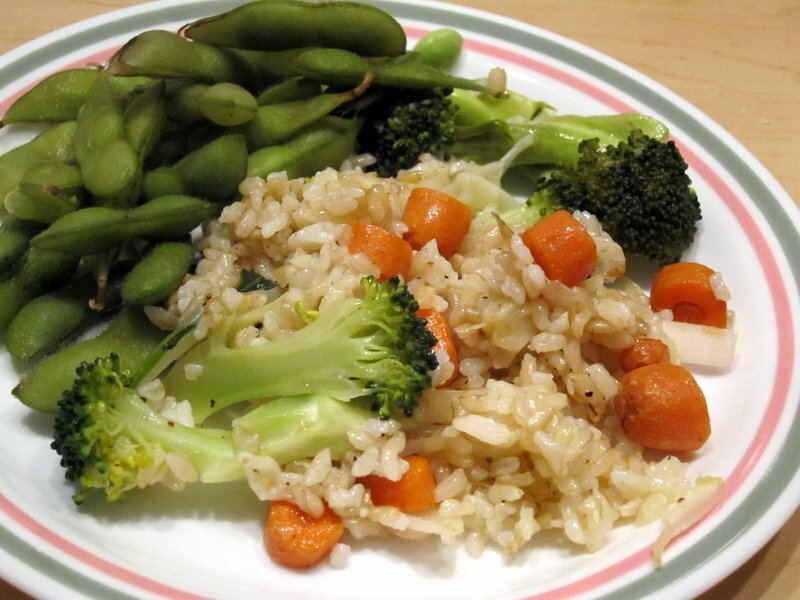 I steamed some edamame from the freezer and served it with the rice. I mixed in some Sriracha which gave it a really nice kick. There’s so much more you can do with basic fried rice: add soy sauce, chilis, curry powder, sugar, coconut flakes, peas, corn, tomato, basil, cilantro, nuts, etc. You can go crazy or you can just fry it up with tons of garlic. Do whatever suits you at the moment you make it. Yep. 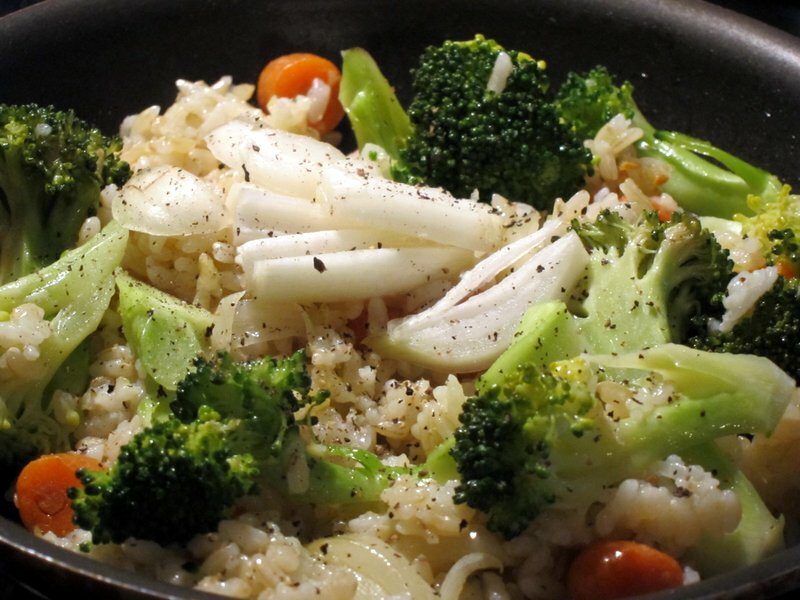 Rice and garlic. Works for me! Yeah, you said the magic words!